Barr pores over a huge report and then summarizes it . . . so quickly? 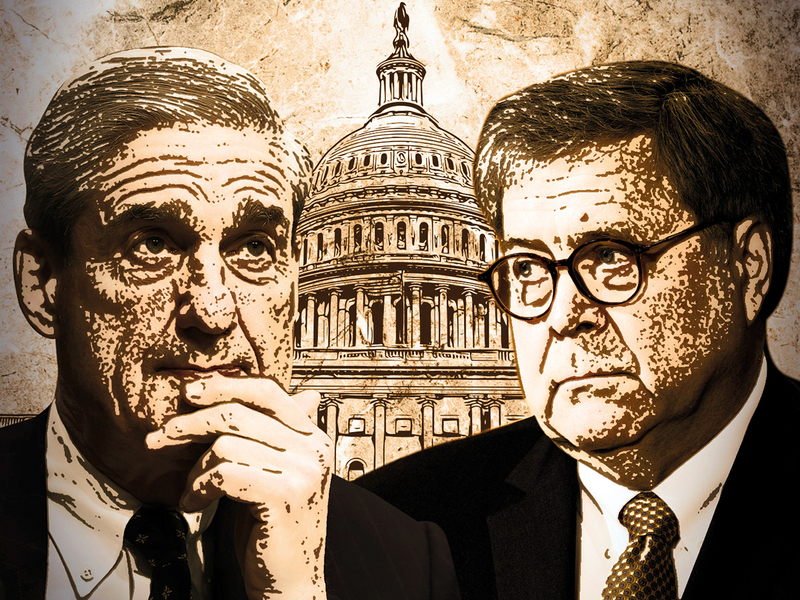 Special counsel Robert Mueller handed Attorney General William Barr a 300-page report that chronicles a 22-month investigation into whether Donald Trump’s campaign “colluded” with Russian officials who invaded our electoral system. Two days later, Barr produces a four-page summary of the report. We know what Barr says about what Mueller reported. We do not yet grasp with our own eyes what Mueller has determined. Is the AG corrupt? Is he hiding something? I do not subscribe to the first notion. The second one, well . . . is a debatable point. That is why I want to join others in demanding that we see Robert Mueller’s report in full. A heavily redacted report with pages upon pages of text blacked out won’t suffice. The attorney general is hearing from a lot of voices these days to release the report (more or less) in its entirety. National security secrets should be kept away from public view. According to Barr, Mueller has determined that Trump’s campaign did not collude with Russian goons. He said Mueller drew no conclusion about the obstruction of justice matter. Americans are left to wonder how Mueller reached those conclusions. Aren’t we entitled to see the evidence that Mueller gathered? Aren’t Americans entitled to see how our millions of dollars were spent? Let us see the full report, Mr. Attorney General. Let us decide for ourselves about the veracity of the special counsel’s findings. Many of us have said we accept Mueller’s conclusion. I am one of them. However, my acceptance is wavering just a bit. The AG’s quick-hit summary isn’t enough to persuade me fully about what Robert Mueller has determined. Nancy Pelosi must have seen this coming. The speaker of the House of Representatives said some time ago that she doesn’t favor impeaching Donald J. Trump. Then the special counsel, Robert Mueller, seemed to uphold Pelosi’s view that impeachment is a non-starter. He essentially cleared the president of colluding with the Russians who attacked our electoral system. So now the task for Democrats has changed. 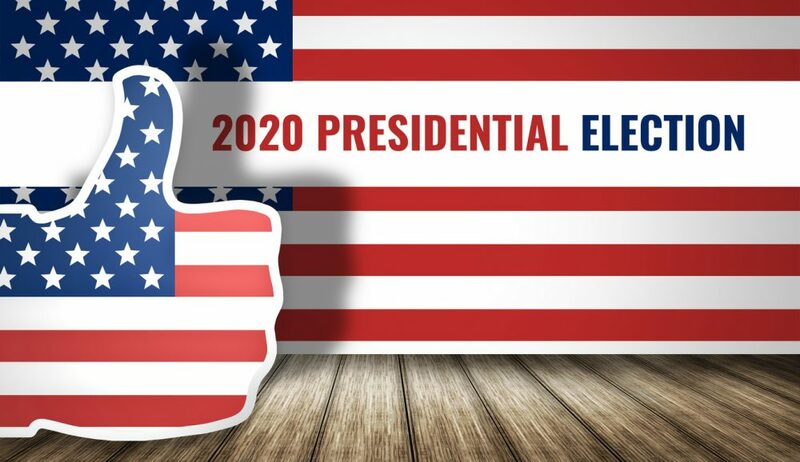 They need to defeat Trump in November 2020’s presidential election. They might uncover more campaign grist from the congressional hearings they are planning in the weeks and months ahead. There seems to be plenty of campaign ammo to be loaded into their weapons. For his part, Trump is preparing to batter the Democrats with Mueller’s findings. The “no collusion” mantra might as well become Trump’s 2020 re-election slogan. His dedicated base will glom on to it, citing what they insist was a “witch hunt” and an “illegal” investigation by the former director of the FBI; of course, it was neither a witch hunt or illegal. Democrats must avoid overplaying their anger at Mueller’s findings. They spent a lot of time and emotional effort defending his integrity against the Trump attacks, which he mounted incessantly during the course of the past 22 months. They said Mueller’s integrity is impeccable; they praised his dedication and his thoroughness. So, he’s delivered them news they didn’t want to hear. Democrats’ challenge now is finding a candidate who can stand up to Trump’s insults, his innuendo, his hideous rhetoric. They know what to expect, which I am quite certain will mirror what they heard from him on his way to election in 2016. 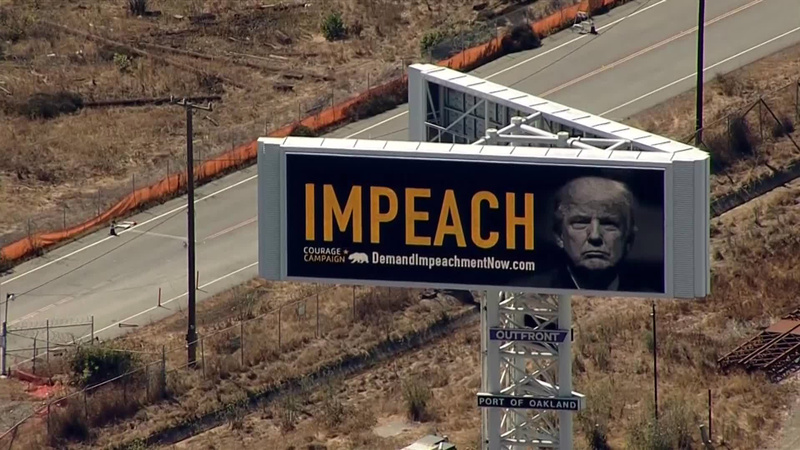 Impeachment now seems like a bridge too far. A four-page summary authored by the U.S. attorney general isn’t enough. Americans need to see — to the furthest extent possible — more of what special counsel Robert Mueller III found that led him to clear Donald Trump of colluding with Russians or of obstructing justice. Don’t misconstrue my point. I accept Mueller’s findings. He worked tirelessly along with his team of prosecutors to get to the truth behind the allegations that Trump’s presidential campaign colluded with Russian government operatives. He has determined that there is insufficient evidence to accuse the president or his campaign of collusion. Nor does he have enough evidence to accuse him of obstructing justice. AG William Barr, though, did say that the lack of a formal criminal complaint on obstruction of justice does not “exonerate” the president. 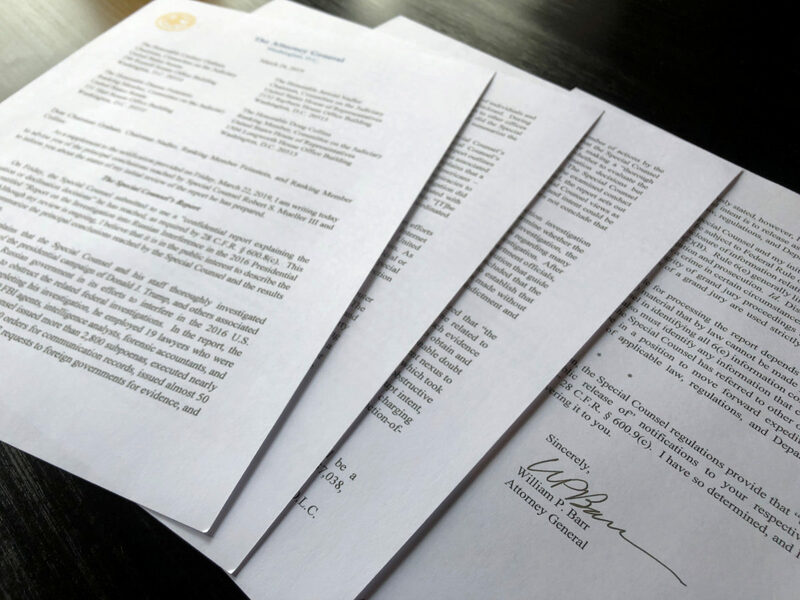 So, let’s look at the supporting documents that Mueller used to make his determination. Congressional Democrats want the public to see them. House Speaker Nancy Pelosi calls it an “urgent” matter. There appears to be some “evidence” of obstruction, just not enough to file formal charges, Mueller concluded. I get that. I also want to see the rest of it. Or at least as much of the rest of it that won’t tar individuals who aren’t charged with wrongdoing. We don’t need to see national security-sensitive information, either. Many Americans have been waiting for a couple of years to know what the special counsel has concluded. We have heard the executive summary as delivered by the attorney general. Let’s catch our breath for a moment or two, shall we? 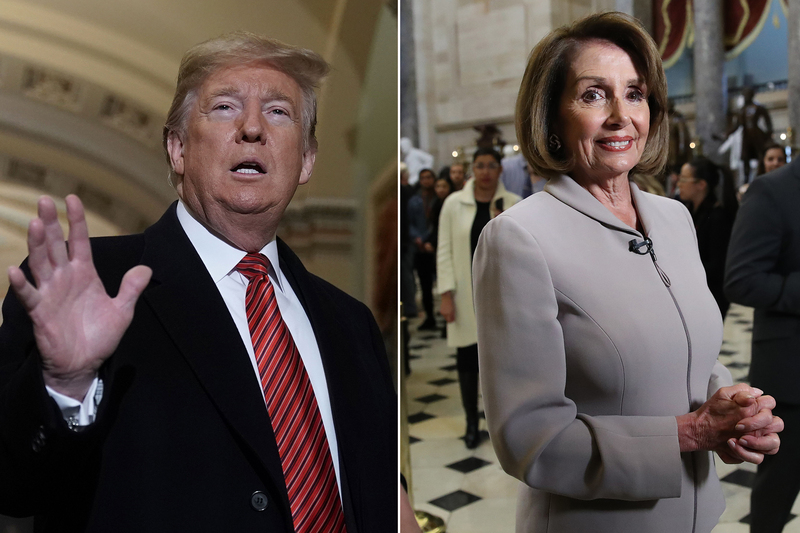 U.S. House Speaker Nancy Pelosi says she does not favor impeaching Donald John Trump. She says the president “isn’t worth it,” which I interpret to mean that she thinks so little of him that he isn’t worth the emotional and political capital it would cost to impeach him. So, she is putting impeachment on the back burner. For now. I did not hear the speaker say that impeachment would never be an option for the House to consider. Look, the speaker is no fool. She is a seasoned political hand. She knows the lay of the land in the House that now comprises a Democratic majority, which is how Pelosi got to become speaker again at the beginning of the year. Pelosi is waiting — along with many of the rest of us — for Robert Mueller to finish his task. He is wrapping up an investigation into whether Trump’s campaign for president “colluded” with Russian government goons in 2016 to influence outcome of that year’s election. She knows she likely has enough Democratic votes in the House to impeach Trump; it requires only a simple majority. The bar is much higher in the Senate, where the president would stand trial. Two-thirds of the Senate need to cast votes to convict the president. Pelosi knows that there aren’t enough Republican votes to finish what the House would start. Might there be enough to GOP votes to convict Trump if Mueller produces compelling evidence? Might there be something coming from the U.S. attorney’s office in the Southern District of New York that would sway GOP senators? The speaker is waiting for all that to play out. Meanwhile, the far-left wing of her Democratic Party House caucus needs to chill out. Stop the impeachment yammering. Settle down and worry about legislating matters that come before them. There might be time to get serious about impeaching this president. Or, there might be nothing at all. I am one American who is willing to wait for the special counsel to finish his job. Congressional Democrats comprising the fiery left-wingers and the “establishment” wing are at each other’s throats over whether to impeach Donald John Trump. Oh, but wait. House Speaker Nancy Pelosi is slamming the breaks on that move — at least for the moment. She opposes impeachment. Pelosi, one of the experienced hands on Capitol Hill, doesn’t want to go there. “I’m not for impeachment,” she says. I happen to agree with Pelosi. Yes, that’s right. Critics of this blog think I am frothing at the mouth to impeach the president. Not true. I want to wait for special counsel Robert Mueller III to finish his job of investigating whether there was “collusion” between the Trump 2016 campaign and Russian government goons who attacked our electoral system. Moreover, I also believe Pelosi’s mind can change if Mueller’s report reveals some impeachable nastiness. There’s also the Southern District of New York, the federal judicial district that is looking deeply into possible criminality. The SDNY also needs to finish its work as well before we should determine whether there are grounds to impeach Donald Trump. But for now the speaker is speaking wise words of caution. She is a seasoned politician who knows if she has enough bipartisan support to proceed with impeaching the president. She has calculated that she doesn’t have it. 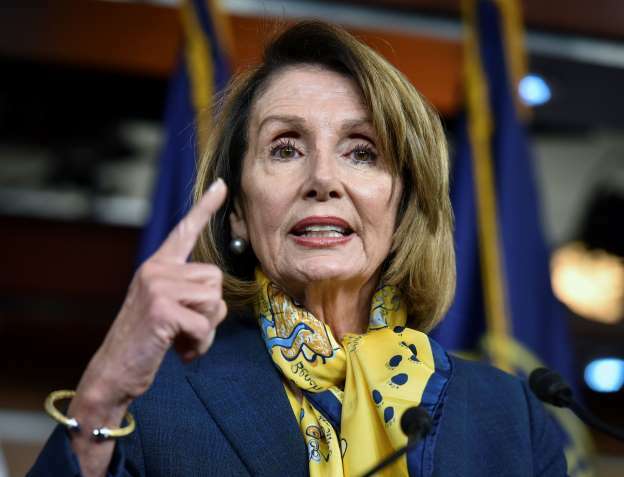 Impeaching the president would be a loser for her and House Democrats. Pelosi is a wise woman. Just as Republican members of Congress engaged in fights between establishment politicians and TEA Party fanatics, Democrats are engaging in something quite similar at the other end of the big political spectrum. The GOP establishment had the country’s best interests when it fought with the TEA Party over spending. The Democratic establishment has the upper hand over the issue of impeaching Donald Trump. But . . . let’s wait. Michael Cohen’s testimony this past week in front of the House Oversight and Reform Committee has ignited talk of impeachment. 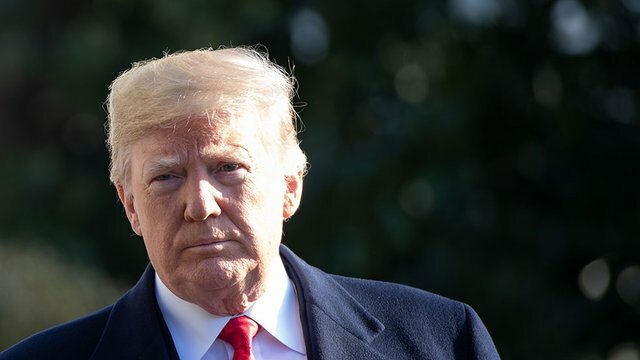 Many on the far left of the Democratic Party are ready to file articles of impeachment yesterday against Donald John Trump, the Republican president of the United States of America. Cohen, the president’s former lawyer/confidant/friend/fixer offered up a mountain of circumstantial evidence of criminality involving the president. That’s enough for many on the far left. Other Democrats, the more seasoned among them, are sounding a warning. Not so fast. 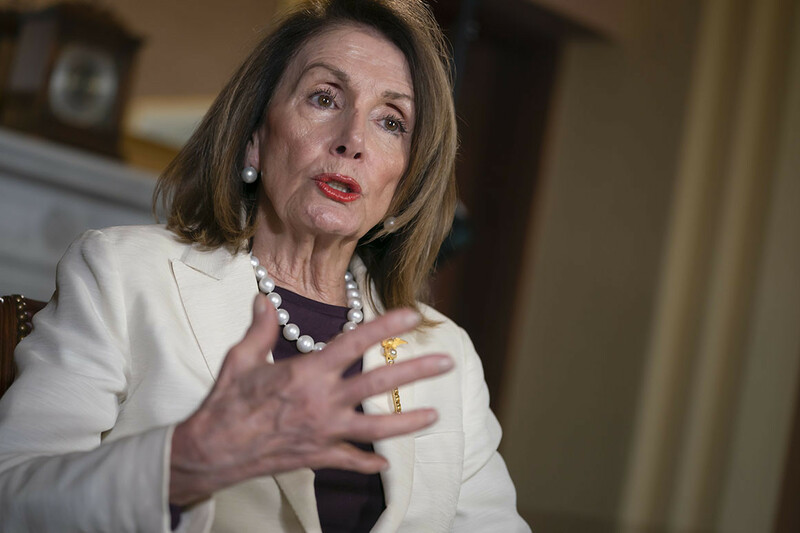 House Speaker Nancy Pelosi is among those who argue that impeachment is too divisive an issue to hurtle head first into doing. She is counseling the impeachment fanatics within her caucus to wait a while longer. We’ve got this matter involving special counsel Robert Mueller to conclude. Of course, Republicans are willing to talk about impeachment. They’re using it as a cudgel to batter their Democratic foes. Trump himself is showing a decided willingness to toss out the “I” word whenever he stands before his adoring loyalists. He recognizes the divisive nature of any action to remove him from office. I am not yet totally convinced the president deserves impeachment. I want to wait for Mueller to finish his work. I want the results he has compiled to be made available to the public. I want a complete accounting of what he found, what he learned, what he has determined to be the truth. I believe that’s what I am hearing from seasoned Democratic politicians. They have been down this impeachment road before. Many of them sat in the front row when Republicans yammered for the impeachment of President Clinton in 1998. They succeeded. 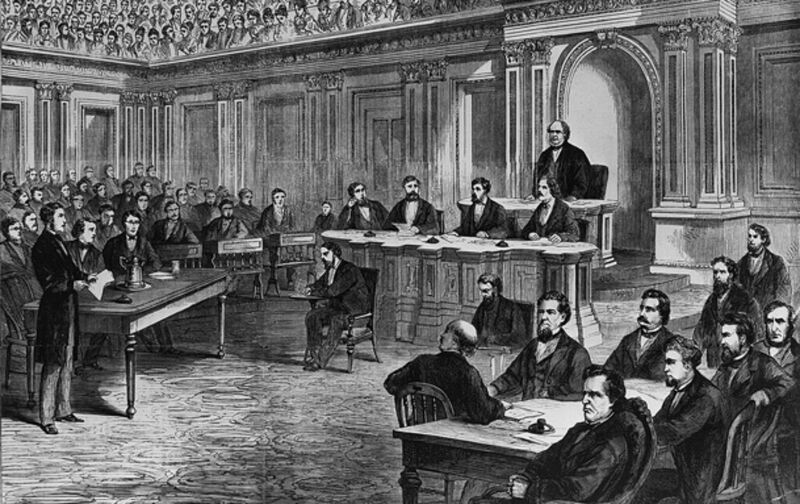 The House impeached the president, who then stood trial in the Senate, which then acquitted the president of the charges brought against him by the House. Speaker Pelosi wants no part of a repeat of that fiasco. The Democratic young guns need to listen to their partisan elders. Hold on. Wait for Robert Mueller. Consume what he offers. Then decide.